Never, under any circumstances, should the information be reported upon as it comes in somewhat like an evolving series of blow by blow accounts. And in compounding this deviation from the norm, no possible verdict should be passed until all the laboratory analysis is compiled. That is exactly how our reports are being presented, here we are three articles in and we still haven’t got the genetic information back to prove whether these beings are unique or unusual mutations and merely odd extensions of a pre-existing branch of hominin. Any sensible scientist would wait for the numbers and chemicals to roll in then hedge their bets each way. Our approach is to bet on a win for a new species of Earthly or Off-World ancestry well before the laboratory has passed judgement. The only problem we faced in putting together a third report before the results are received was finding a coherent structure, rather than throwing in series of extensions and additions lacking in a connecting theme to what we have already discussed. 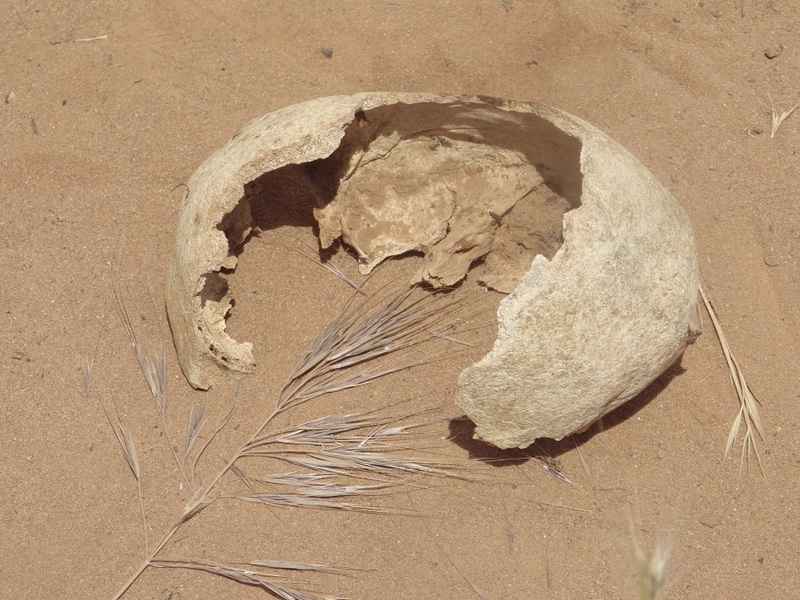 Whether providential or coincidental, as I was mulling over a few rather dry and disjointed ways of putting together what had since been learnt or understood, I received a very thoughtful response on these bones in an email written by Sanja. We have never met or corresponded before, in fact once realising he was an academic I initially expected this to be yet another condescending diatribe focusing on one point ignoring the corroborating evidence, while at the same time highlighting our academic and personal shortcomings. “The skull craniums without sagittal sutures are rare but known to exist in human adults. If there are no sutures at all I wonder how did this individual survived to adulthood if he/she was born like this. The other alternative could be that sutures were all there but for some reason all fused up when the individual reached the adulthood. This is a mystery in any case. Large eye sockets are fit for large eyes and in animal world this would mean the creature is nocturnal. I don’t know what this means in hominids. Have they come from some other, darker environment or they were nocturnal? Having light bones and very long arms could mean that creature was possibly a quadruped. This is just an idea that could be tested by appropriate specialist. These bones could be dated using AMS radiocarbon technique if they decide to test for age. The most reliable company in the Southern hemisphere is Waikato Radiocarbon Dating Laboratory in New Zealand costing NZ725. Radiocarbon dating is used for organic samples not expected to exceed calibrated or calendar years (up to 50,000 old). This would clear up the confusion of burial date. Considering that they have the tooth given by elders, using a stable isotope analysis it is possible to figure what was the diet and geographic origin that includes the water source used and altitude levels this individual lived at. 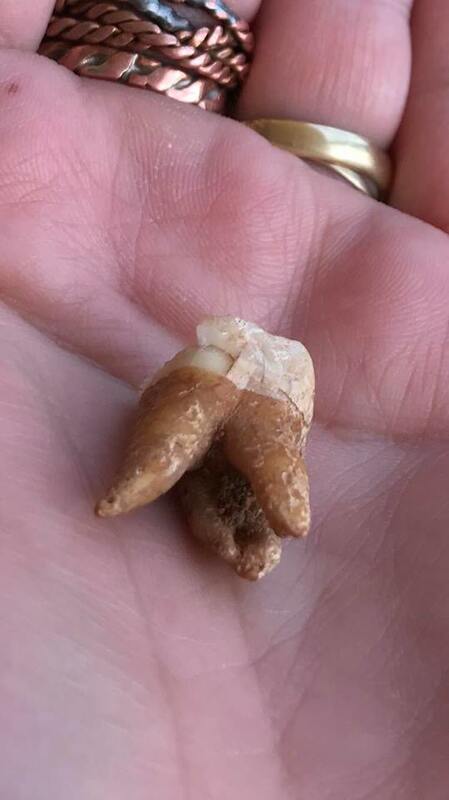 I have seen molar teeth of the shape they have in their possession but I am not sure on its size and what size jaw would it fit. It is not clear which skull does it belong to. Burial age estimation by authors is a bit circumstantial. 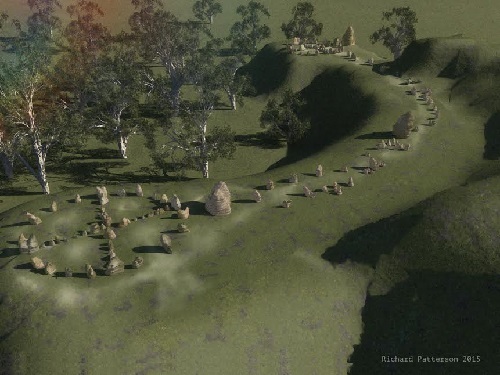 If their conclusion is based on the age of the land shift that moved the grave site away from the river bank, they need to find comparable graves of the area that would be positioned near the river to show this was the custom of that era, before 30, 000 years ago. That would constitute a relative method of dating. For absolute date they need to do the radiocarbon dating test. At this stage, we have no burial date. There is obviously a lot that needs and could be done. Well done and thumbs up to the authors on taking the photos and recording the in situ material at the burial site. Hopefully, bones were handled with gloves and stored in dry bags away from sun light. Thumbs down to so called anthropologists that came, had a look and possibly threw away a find of the century. For any form of teenage sealing of the three main sutures, for this to be a natural part of the evolution of the human race, then Nature is a cruel beast. If “born like this” the pain experienced as the skull creaks and fuses with nerves being shoved all over creating a trauma of such dimensions Sanja was sure some did not “survive to adulthood,” there must be fundamental flaw or misplacement in the genetics of this species. All the other hominid’s sutures first begin to fuse while an infant and this strand takes a completely path in merging the plates a decade and a half later, even if this is true, at the very least this process seems to indicate that this individual is not of the same classification or ancestry. Past that very late fusing it is undeniable that there are some humans today, who have nothing like the thickness of 1.3 cms in their skull cap, that do after the age of thirty partially to almost completely fuse. As commented previously, this tendency to seal may well be due an ancient genetic influence of the individual we claimed has one complete plate with no sutures apparent before or after birth. The second coming of this fusing serves no useful purpose in improving any sense or intellectual pursuit. The individual doesn’t become smarter and nor does this increase any skill, perception or assist in anyway except creating a whole lot of pain and inconvenience. Whether this is a ‘throw-back’ to an ancient genetic strand can never be proven. What cannot be disputed is that when comparing the physical effects and degrees of discomfort of a modern-day skull of 2-3 mms thickness when fusing to that of this skull which has a thickness of 1.3 cms, the joining of sutures in a bone plate that is more than 400% thicker has to be a far more painful, verging on excruciating, ordeal. And it is that exceptional thickness that is worthy of more consideration. 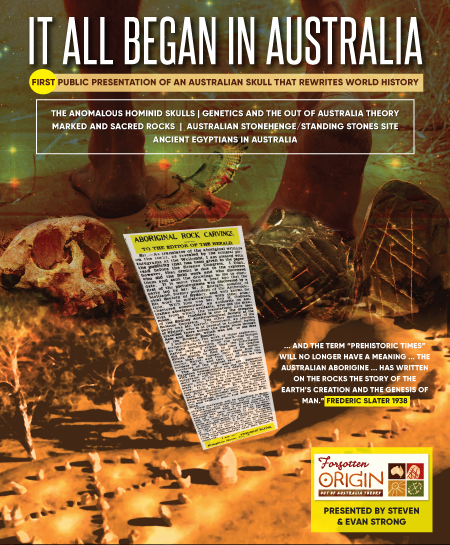 According to eminent Australian archaeologist, Josephine Flood, the Original robust cranial vault is indeed thicker than the gracile Original people, and by a considerable degree. At Kow Swamp, a “burial complex”(1) of “the largest single population of the late Pleistocene epoch found in one locality anywhere in the world,”(2) of the dozens of skulls found they measured “up to 13 millimetres.”(3) That means, with the somewhat disputed exception of a robust skull (WLH 50) found at Lake Mungo, the skull we examined sits at the extreme limits of robust thickness. That alone makes this skull an item of high interest, particularly since all of these robust skulls have three main sutures, in combination this deserves more than the current total disinterest with a promise of no further investigation. A scientific paper on the second fusing some adults exhibit in the reappearance of a process assumed to be completed in the first six months, made one feature abundantly clear when remarking that the x-ray images revealed that the merged suture lines were still “clearly visible.” (4) When holding the skull and examining all along the broken edge carefully scanning the profile inside, there is nothing untoward except all of the same without any variation in complexion. We mentioned earlier that in many respects the most sensational part of this assemblage is neither skull, but one long thin humerus bone belonging to the wide eyed three-sutured individual. It had to be at least 45 centimetres long, the 41 centimetres still present has no indication of the thickening at the edge where the elbow joint would be, that section has broken away and will hopefully be found further down when a complete stock-take is conducted. The arm is so incredibly long, the only present-day contemporary that comes to mind is the gibbon. The gibbon, when standing fully extended and upright, is 0.9 metres tall and has a humerus of 35 centimetres, when compared to a human of 1.7 centimetres in height that has a humerus of around 30 centimetres, the gibbon’s arms do look much longer. Throwing at least another 10 centimetres onto the upper arm of any hominid creates a new set of logistical problems that contradict nature’s central master design of more is better. Trying to establish any genetic link to the gibbon falls by the wayside when factoring in the physical truth that the forelimbs of a gibbon are longer than their humerus, here it is the reverse. As the arms are the main limbs used by a gibbon when suspended on branches or swinging from tree to tree, their bones are very thick and meant to accommodate larger tendons, muscles and ligaments. If any animal has a limb that is much longer or larger than the rest of the body, it is because it is meant to be stronger and more powerful, never the reverse. Because the humerus (>45 cms) is longer than the femur (42 cms) it would appear that the load and length is evenly shared. But that principle doesn’t apply in this case as this humerus is no more than one centimetre in thickness, and because this restriction it limits what can be achieved, lifted or carried. Sanja’s suggestion that due to its length, we could be in the presence of the skeleton of a quadruped has merit. If the arms are close to the same length, maintaining balance on all fours and moving forward and taking some of the weight is feasible. If the lower part of the arm thickened slightly and the wrist was flatter and thicker (which can only be confirmed once the skeleton is uncovered) this is a viable proposal that deserves serious consideration. If it turns out that the rest of the arm is no thicker, then such forms of motion using all four limbs is less possible and our earlier observation that such and long exceptionally thin arm could do nothing but hang loose and free and do little else still remains. Throwing a spear, cushioning moderate impact or punching a firm pillow are feats that will end badly and fracture continually. So too is the potential that if this being was native to a planet/environment that has half the gravity, the need for thicker limbs decreases proportionately and the extended thin arms are less of a passenger and more an active participant in daily events. Whether these two arms assisted in motion or merely spectated without ever making any meaningful contribution is still to be determined, as is the location this being frequented. Irrespective of how this being moves, if restricted to certain climates, resources or geography that will also impact on the way an organism develops. If walking down the evolutionary path mainstream subscribes to, this individual spent little to no time in direct sunlight. It would be too intense and overwhelming to cope with and they would literally be ‘blinded by the light.’ So that means if living in the dark avoiding direct sunlight, caves and tunnels with softer artificial light is one option. However, the concept of burrowing deep within and taking up residence has no great effect on lessening gravity and does not explain why these arms are so thin. If stationed anywhere in space, where direct contact with the sun and gravity can be controlled, such unusual physiology makes sense. What if this ancient larger version of Marty Feldman is simply a mutation, a ‘one off?’ Is the reason there is nothing else like this skull officially registered simply because there is nothing like it before or after? The answer to both questions is a resounding no. 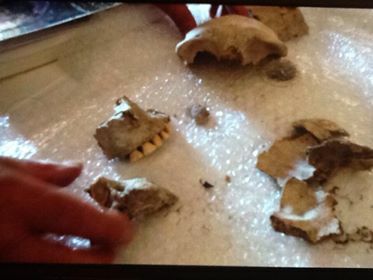 Not long after posting our second article on these bones we received an email and photograph from a student studying in a course in a tertiary institution somewhere in Australia. She had read both of our articles and was particularly taken by the dramatically receding forehead and how much it reminded her of some bones and skull her tutor brought into class. Once sighting the photo it was immediately obvious why she made that conclusion. Even though the face is incomplete with the bottom half missing, the top half, in particular the severely receded forehead, was for all intents and purposes almost identical. Once making contact with the tutor, what became immediately obvious and numbingly repetitive was the content of his dealings with authorities. 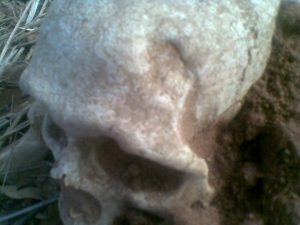 He, just like the farmer, made contact with the approved ‘experts.’ And just as it was with the farmer, the skull was cavalierly dismissed as nothing out of the ordinary, just an extreme version of a modern-day human. So too, did this person find the off-hand dismissal of this bizarre being less than satisfactory and was quite open in sharing his unwillingness to accept this explanation with the students in his tutorials. 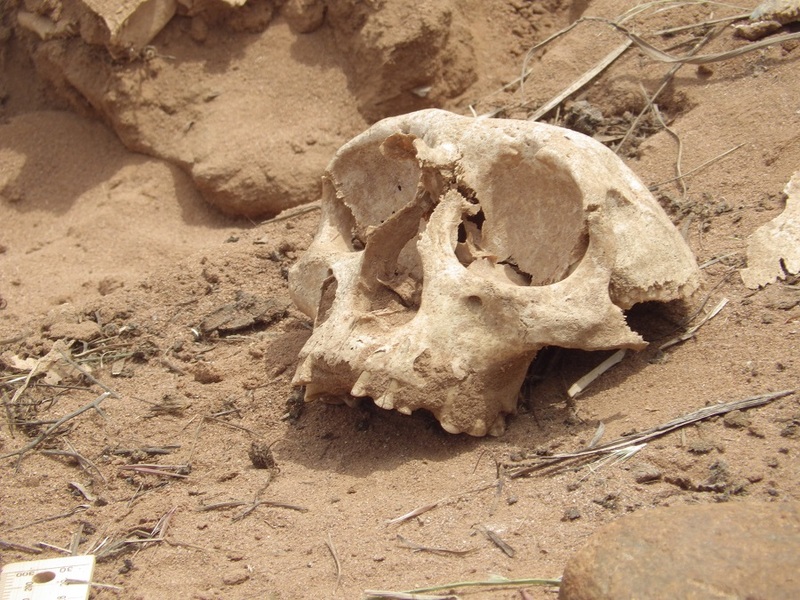 These two receding skulls are located hundreds of kilometres apart, in completely different tribal estates, which automatically negates this being a rare genetic anomaly or one-off deformity. They are part of a population that did not exist anywhere else, and it may well be the only reason the general public are unaware of the existence of these hominins/beings is that every time one of this kind is found it is stridently denied recognition. We have arranged to personally meet, inspect and take some basic measurements to compare against, which of course will give a better chance to make a more informed conclusion, but even so, at a distance and before further analysis the similarities seem to be quite obvious. The very distinctive style of disposal shared by two very different types of beings needs to considered, and in this venerable case, compared to the centre-piece and arguably most sacred site in the country: the Standing Stones Complex. 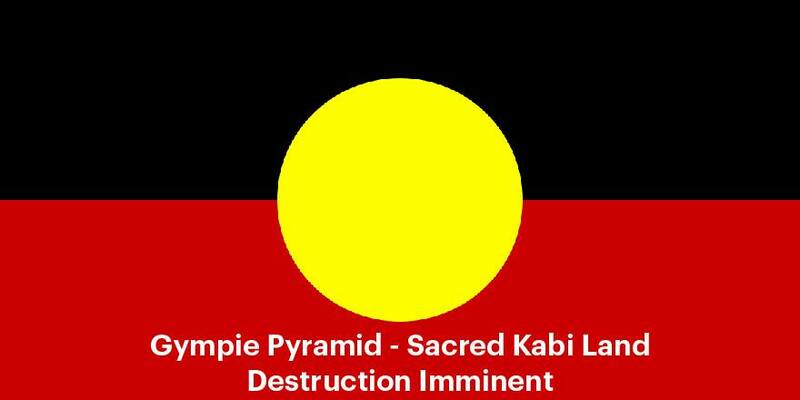 That “symbol”(10) which is “worth examining”(11) is also sitting upright over a thousand kilometres to the south-west. 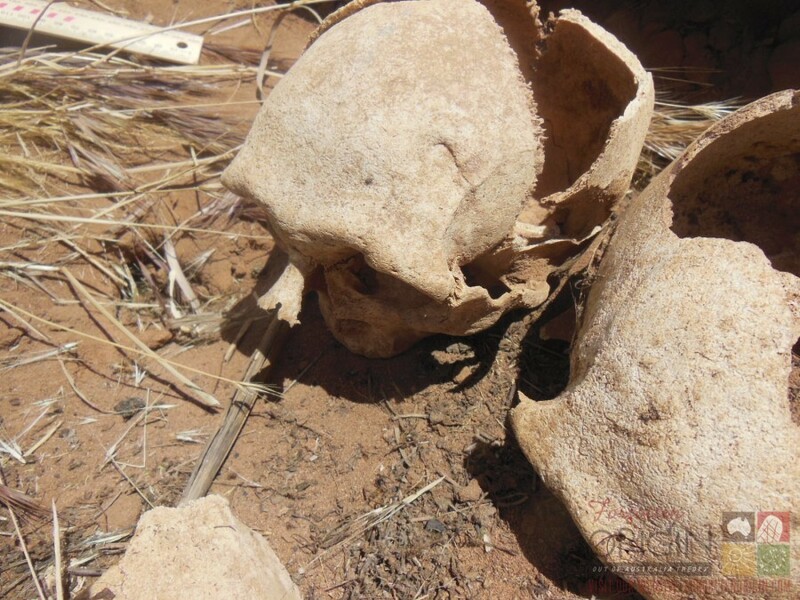 We believe there is a very distinctive and incredibly old funerary tradition of burying people seated with their head above all other bones facing a direction or site, which is evident at both burial grounds that are so far apart. The Standing Stones Complex and the many associated sites within the vicinity is all one part of a unique site that may not have any global equal or precedent. Anything spiritual occurring there, and the burial of any person within such sacred boundaries is certainly part of a sacred passage, is of the highest level, anywhere. And we suspect that the same can be said for another equally unique site bearing no less than two beings never before seen, anywhere. The tooth we were given has the real potential to resolve all the criticisms from elsewhere and add or subtract from our musings. At tooth value lacking in any test or analysis, the quite pronounced curvature of the largest root strongly suggests that the lower mandible and upper jaw had to be bigger and wider than all other hominids. That assumption is certainly consistent with the thickness and huge size of the skull and to claim that if the brain casing is far bigger than others past or present, it makes sense to presume that the face is equally large. From that oversized facial base, it is not a huge stretch to continue in that enlarged tradition. Perhaps the arms, legs and bones may be larger or thicker? Once the analysis of the genome of this individual is received we can put all the assumptions and objections to the side and concentrate of the results and genetics. Perhaps, when all the genetic patterns are in there may be a degree of clarification shed upon the mysterious depression found above the massive left eye socket. It is too large to ignore and is lacking in any percussion bulb or hint of a blade or cut. If it is natural to this particular species that moves in the manner of a quadruped or biped, this creates another dividing line that is separate to all other hominids. I had completely forgotten about this very odd extension on the sutureless skull for some time. I tried to be more specific in determining when such an important part of the puzzle was jettisoned in the deluge, and the best I can do was that the overload was so massive it was probably left on site and never got in the car when leaving the burial ground. Even so, how could I forget such an unusual feature that everyone remarked upon on first sighting? Whether due to the advancing years, an avalanche of questions and precedence in bone buried in the hot mid-day sun or the onset of senility (which many of our critics already ascribe to) it is still with a heavy lacing of embarrassment I, not Evan, fess up and admit there is at the back of a quite curved skull-cap one piece of bone that juts out in the exact shape of a square, measuring one centimetre by one centimetre. It is so easy to see and so geometric. And in my case, even easier to forget. But not anymore, over one month after the event gestating in the deep recesses, it has been born again. Why? What function can a square ridge of bone protruding out so far serve? It is not as if it is there to accommodate a special organ or extension of the brain, there is no apparent reason for this to exist. Nor is it the result of a fracture, break or dramatic impact. We keep seeing instances here of features that run against Nature’s Plans as organisms continually improve in adapting, never make it worse or wander off into deviations that serve no purpose. Always getting better, that’s the mantra and there is no mention of getting worse or straying off course with frivolous extensions. Not with these two, the wander off backwards, sidewards and well ahead, and what now rests firmly attached to this huge list of anomalies is one small square peg on a curved skull-case. According to the rules in this Earthly place, that doesn’t make sense and should never be part of a bone near any face. The Oldest Hominid Bones in Australia? Of course, not for one second do we accept mainstream academia’s preference for Jim Bowler’s conservative date for the human bones of Lake Mungo Man and Woman being no more than 45,000 years old. We are convinced Alan Thorne’s dates in the mid-60,000 years is much closer, but if playing by mainstream’s rules and text books, a maximum date of 45,000 years for Homo sapiens sapien in Australia is far more convenient and acceptable. That being their mistaken case, that would mean that there is a very good chance these two individuals are the two oldest hominids/beings found in Australia. As explained in earlier reports, the major river of the area was washing up against the slope where the skulls and bones were interred until 45,000 years ago. This was second major geological shift, the first took place 65,000 years ago, and because of the elaborate burial and unique packages, it seems reasonable to suggest that they buried when water was flowing close by which ceased to happen 45,000 years ago. To be buried on a featureless plain hundreds of metres from the only constant source of the water that sustains life defies the way things were then, it had to happen when the river was very close. But again, this is at best reasonable conjecture which the results from the laboratory will confirm or deny. In the meantime the circumstantial evidence is substantial and that antiquity is only reinforced by the extreme thickness of skull, exaggerated width of tooth roots and so much more still buried beneath the sutureless skull, and in the case of the widest-eyed individual, the extreme length and thinness of arm. These features sit well past the extremes of all hominids found and because of the unparalleled range held within, they could be the most ancient prototypes from which humanity evolved. 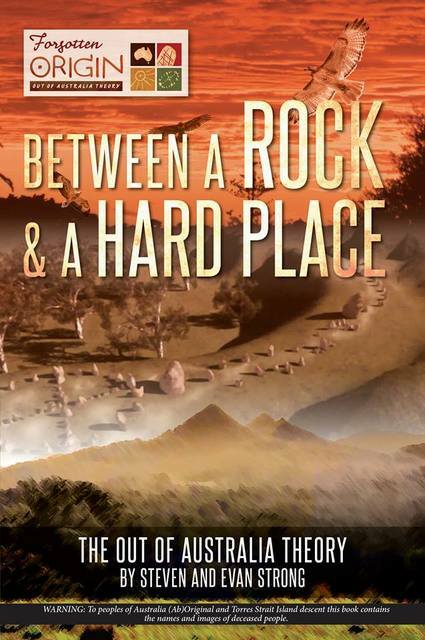 From our perspective, it comes down to either humanity’s beginning in Australia or Aliens in buried in Australia. Of course, science could step in through a Carbon 14 analysis of organic material (bone) in giving a fairly accurate date with an upper limit of around 50,000 years. But as with the genetic tests, all of this costs money which Universities and Government Departments have if so inclined. Regrettably, the reality twice confirmed in this report is that they were not so inclined before and show no signs of budging now. Seven times over a precedent, or incredibly rare feature, is present and accounted for and we have barely scratched ten centimetres beneath the surface. We are convinced there is more to come the deeper we dig, but no matter how many more anomalies or precedents unearthed, there is no guarantee what could be the “find of the century” will breach the wall of deception, apathy and outright lies. Rather than dwell upon why so much of the truth is deliberately hidden or transformed into fear, we will take a rain check on that eternal road-block for now, choosing a positive predictive path in speculating over what may come to pass after the results are in is a much more enjoyable journey. Once again, we are breaking a cardinal rule in academia demanding caution. Granted there have been a few times in the past where we embarked upon a similar tact and came unstuck, but this time around the observer doesn’t need a degree in anything past breathing to realise that both beings are so different and do not fit. Throughout each report we have hovered between hominids, individuals and beings when describing these two sets of remains, and even now we are still not sure which of these three labels is the best call. Our guess, at the mid-stage of proceedings, is that the thinner being with huge eyes is of an off-world ancestry, which is most likely the Pleiades. The thicker larger brained individual we feel is an ancient Original hominid and what came out of the liaison of these two genes was the first step along a new hybrid highway that led on to the supposed crowning pinnacle of hominid ascension: Homo sapiens sapien. Of course this far out it is wise to hedge bets and deflect a little criticism through the acknowledgement of second and third choices. Next up is the chance they are both earth-bound archaic hominids coming from a time of higher intelligence, it is possible they represent the two extremes of hominid physiology and it was from these two very divergent genetic strains the Homo sapiens sapien strand originated. Equal third is a quadruped nocturnal cave-dwelling semi-hominid and an Alien with thick bones or the potential that both beings are from the stars. The way we see it, there is no fifth contender in this contest, that’s it, this is the complete roll-call now up for consideration. The tricky part is that no matter how we mix and match it all comes out the same in one seminal respect, irrespective of which narrative gets the genetic seal of approval, none of the four combinations fit into every mainstream account of human evolution. These skulls and bones must rewrite huge slabs of human and hominid history, that is the very least that can come out of this discovery. (1): Flood, Josephine. 2004. 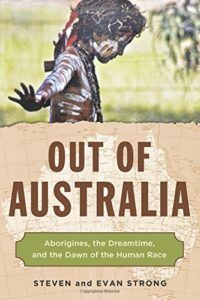 Archaeology of the Dreamtime, (JB Publishing: Marleston, South Australia), 61. (4): Lt. Col. (Dr.) v. B. Gaur, Dr. V. B. Sahai, Dr (Brig) Amarjit Singh & Dr Amit Kharat. 2007, “Determination of Age in living by closure of Cranial Sutures: A Radiological Study”, JIAFM, (29) 1: 32. (5): Slater, Frederic. 1939.”Personal Letters – Correspondences- Notes”. In 2013, Edited by Richard Patterson, No. 1-19 & Original 53-61, Archaeology and Education Research Society. Letter 17. Steven I hate to ask this at such a late stage of the investigation but are you aware of the anomalous variety of Peruvian skulls that are so far removed from ritual cranial boarding for elongation of infant skull as too be the reason the practice began. The skulls I’m referring to are almost certainly not human and bear quite some resemblance to the Wimmera skulls particularly the enlarged orbital sockets and bone growth and development anomalies. I’ve automatically dismissed them as already considered and eliminated from your growing hypothesis. Link supplied matey.